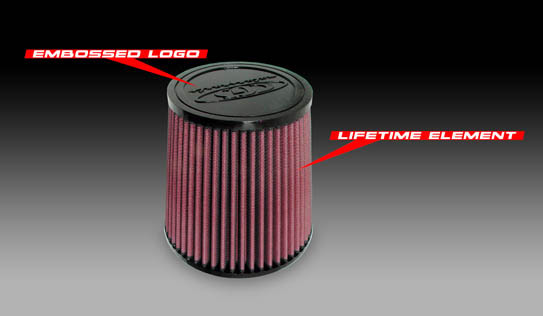 Improve your flow with the CGS Motorsports Air Filter. Constructed using cotton element pleats enclosed in wire mesh, this filter will outflow and outperform ordinary paper-element air filters. Available in various sizes and configurations. Included with all CGS Air Intake systems. Renewable element ensures this filter will last a lifetime.